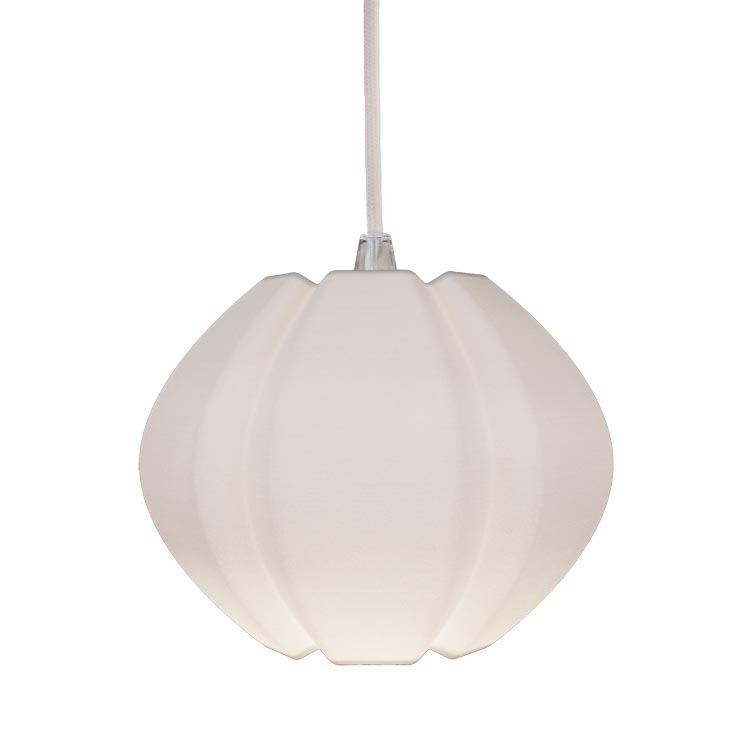 This modern lampshade design draws its inspiration from a classic lampion shape, hence the name – ION. The composed form follows the principles of curved paper folding techniques to make the lamp´s thin shell translucent and strong at the same time. Alternatively you can also use a lamp stand to turn ION S into a floor or table lamp. > Download the ION S datasheet here.